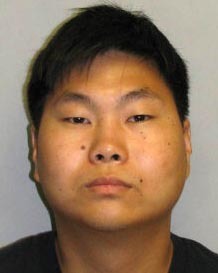 Big Island police have arrested a 22-year-old Puna man in connection with the 2010 sexual assault of a female hitchhiker. John Tak was taken into custody last Thursday (August 25) without incident at his Puna home. Friday evening (August 26) detectives from the Area I Juvenile Aid Section charged him with two counts of first-degree sexual assault, kidnapping and second-degree theft. The charges stem from a report police received on August 4, 2010, from an adult female who said that between 4 p.m. and 5:30 p.m she was hitchhiking on Highway 11 in the area of the Panaewa Zoo. A young man unknown to her stopped and offered her a ride. She reported that he drove her into the Hawaiian Acres subdivision, where he sexually assaulted her. Tak is being held at the Hilo police cellblock in lieu of $250,000 pending his initial court appearance scheduled for Monday (August 29) in South Hilo District Court. Detectives have not yet determined whether this was an isolated incident or if additional similar events have gone unreported.